Email archiving software compresses and stores emails older than a certain user-defined age with the aim of referencing or auditing at a later date. These solutions enable companies to keep full records of any email transactions without the need to consume significant storage. By archiving emails, companies can audit employee email conversations, sales email interaction histories, and more for a more complete view of a user or company’s conversational history. IT departments will utilize email archiving solutions to preserve email history, enabling HR teams, management, sales teams, and more to then audit archived emails and make business decisions. Email archiving tools work well with a variety of communications platforms as a method to preserve B2B, B2C, and employee interactions. Email Archiving reviews by real, verified users. Find unbiased ratings on user satisfaction, features, and price based on the most reviews available anywhere. 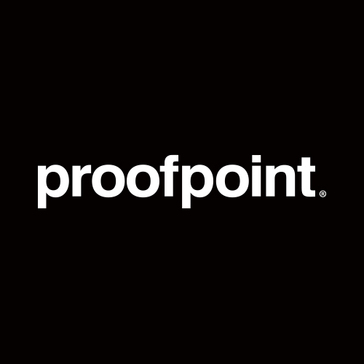 Proofpoint Essentials for Small Business is a cloud-based enterprise-class security for small and medium enterprises with email security, continuity, archiving, and social-media protection. 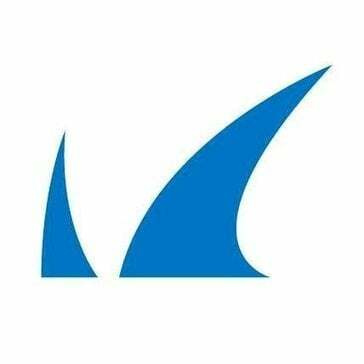 Barracuda Message Archiver is an email archiving software that helps organizations reduce email storage requirements, meet demanding compliance requirements, and address e-discovery requests. Athena Archiver is a next-generation email archiving and storage management system which enables companies to meet growing litigation, compliance, and policy-based corporate governance needs. Dropsuite's cloud-based email archiving solution helps any organization efficiently store, safeguard, manage, and discover data from most email systems such as Microsoft Exchange Online, Hosted Exchange, G Suite Gmail, and IMAP or POP protocols. Jatheon’s enterprise email archiving solution offers advanced archiving capabilities and guarantees reliability, data security and compliance with legal and regulatory requirements. Micro Focus Enterprise Messaging is a complete collaboration solution that provides your organization with email, scheduling, instant messaging, chat-based teamwork, security, archiving, backup, and disaster recovery. Smarsh solutions include archiving support for popular email marketing tools. ArcMail is an email archiving solution for corporate and government exchange servers. Authority provides compliant cloud-based eDiscovery, Archiving and Backup, Disaster Recovery, and Data Migration solutions for popular systems and platforms such as Exchange, Office 365, OneDrive, Gmail and Google Drive. Cryoserver is an email archiving solution which securely stores and never deletes a whole companies email history. Aeternum is an automatical email archiving service. All data are stored in certified data centres. Archive Manager, Exchange Edition, delivers critical, proven email archiving capabilities that are both robust and affordable. And winning the People's Choice award for best archiving solution year after year delivers peace of mind. Email Archiving with ArcTitan. ArcTitan is an email archiving product which allows users to securely archive your business emails and simply retrieve these archived emails. Compliant, Fast, Secure and Office365 Never lose another business-critical email. Find and retrieve any archived email in seconds. Simple to access and easy to use for both administrators and end users with 24/7 support by real product people! Start saving on email volume and storage today Secure and Perpetual: All emails are encrypted in transit and when stored. Giving your business total protection against data loss. 11,070,826,210 emails archived to date eDiscovery and EU GDPR: Industry Standards Compliance. Legal safeguard for email compliance. Perfect for eDiscovery and GDPR compliant. Acts as a “black box flight recorder for email”. Cloud Based Solution: Zero limits on user numbers or storage space in the cloud. No on-site hardware required. Ultimate scalability. Save up to 75% Email Storage Space: Flexible pay as you go email archiving model. Per live user subscription only. Save up to 75% email storage space Remote Access to Archived Emails: All the benefits of email archiving accessible anywhere at any time. The same great user experience everywhere. Office 365 Email Archive: Significantly enhances Office 365 email Search and Storage functionality. Massive cost and time savings Lightning Fast Search and Retrieval A powerful search tool. Load performance of more than 200 emails per second from your email server - your emails are archived and retrievable instantly. Slashes time and cost. A Simple to Use Email Archive ArcTitan is designed to optimize the ability to find important things when you need them. Locate emails instantly on desktop or mobile. CanIt Archiver is an email archiving software solution perfect for small and medium businesses. CanIt Archiver takes SMTP in and produces SMTP out, so it is compatible with any mail server including Microsoft Exchange, Sendmail, Scalix, Postfix, Zimbra, Exim, Axigen and more. PineApp offers comprehensive email security, email archiving and web filtering solutions that are available as hardware or software. Keep hackers out with our network protection. MailArchiva is a popular email archiving and email discovery server for companies. MailMeter is a secure and reliable email archiving solution that reduce email data, eliminate PSTs, provide detailed analysis and drill-down reporting, become legally compliant & recover deleted email instantly. MailShelf is a professional email archiving solution that covers all important aspects of a secure and compliant long-term archiving of your emails and which also offers you many additional features. PCVITA is aimed bridging the gap for Enterprise and Home Users through high quality products and services in the area of Enterprise Messaging Platform Migration, SharePoint Migration, Email Archiving, Desktop tools for MS Outlook users. RestorEmail archive business emails like Office 365, Exchange, Exchange Online, Google Apps for Work, etc. Retain is a software company that develops a customer messaging platform. With Retain businesses are enabled to chat with the existing and prospective customers who are online on their website. Retain platform lets businesses track and filter customer data. This data includes conversation history, product usage behavior, past purchases, payment details, etc. Businesses can use these attributes to trigger personalized, automated marketing in-app messages and emails. Retain lets businesses create and send targeted in-app messages to customers while they're logged in the website. Thexyz offers a premium business-class email that syncs with Outlook®, your smartphone, our webmail and mobile apps. There's a hassle-free, managed Email Migration to get your existing email moved over from another service. Thexyz compliant Email Archiving requires no additional software or expensive hardware. Vaultastic is the easiest - most secure email archiving solution yet! It is works with Office 365, Google Apps for Work (Now G Suite), Exchange (on-prem & cloud) and other email solutions. Vaultastic helps your business with all eDiscovery, Compliance and Business Continuity needs. All your email data is securely stored in AWS data centers ensuring 99.99999999999% data durability and protection against service outage, data loss or corruption. Also in the process providing an alternate site for safekeeping of your critical data. Key Features: » Compatible: Works seamlessly with Office 365, Google Apps for Work (Now G Suite), Exchange (on-prem & cloud) and other email solutions. » Unlimited Storage: No storage based plans or limits. Simple retention based plans with unlimited storage. » 99.99999999999% Data Durability: Your emails are archived in a cloud storage with multi-layered security making it one of safest email vaults out there. » Tamper Proof: Vaultastic is safe from accidental or malicious deletion of mail and user accounts. » In-line Email Archiving: Mails are archived before they are delivered to the user's inbox, guaranteeing all the mails exchanged are always archived. » No Infrastructure: Requires No Infrastructure, Storage or Manpower provisioning. » Most Secure: 100% security and privacy guaranteed! Benefits: » Restore Mails or Mailboxes: Recover any specific mail which you might have lost from your primary account, or restore the entire mailbox. » eDiscovery: Seek, locate, secure and search email data with the intent of using it as evidence in a civil/criminal litigation or during internal audits. » Regulation Compliance: All the email data is encrypted and read-only. There is no possibility of accidental or deliberate deletion of emails. » Business Continuity: Access archived mails via a self-service portal, which also acts as a disaster recovery site and provides an alternate access to a user’s archived mail store. Hi there! Can I help you find the best Email Archiving solutions?